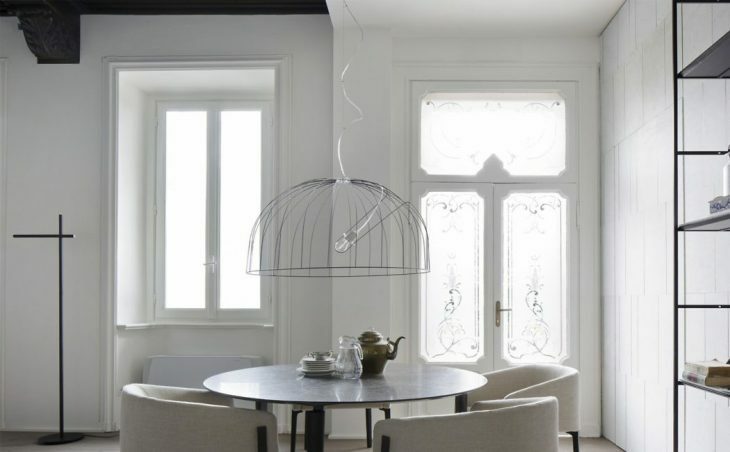 Chiara Tombari of Boffi designed this stunning showroom in the historical centre of Monza, Italy. Take a look at the complete story after the jump. 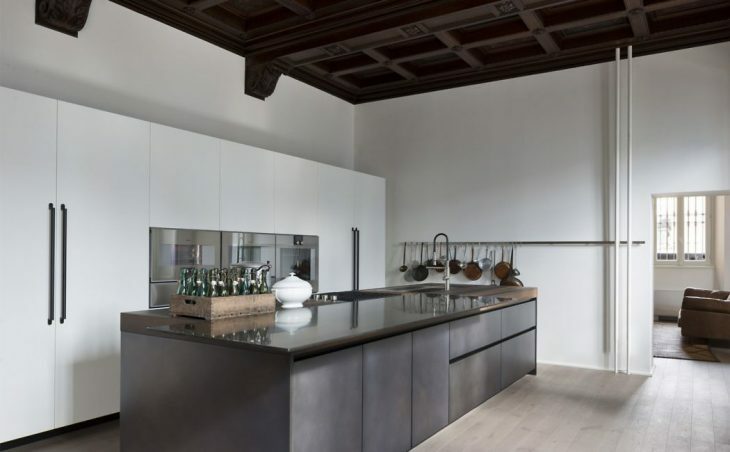 From the architects: The first Boffi-De Padova-MA/U Studio Appartamento opens in Monza’s historical centre. The perfect integration of the three brands into one domestic space is the new concept guiding the Group for the creation of its showrooms. 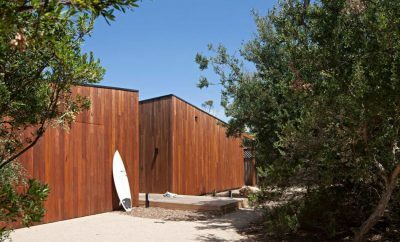 A complete project for the living, always open to new personal narratives. 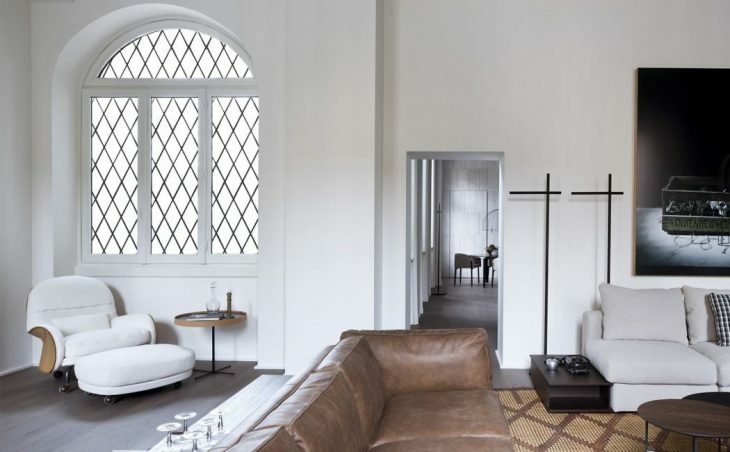 From the pedestrian via Carlo Alberto, the geometric lines that mark the cobblestones of the squared churchyard line up with the main door and the three windows, almost suggesting the entrance and the presence of the new Boffi-De Padova-MA/U Studio Appartamento. The redeveloped two-storey building is perpendicular to the side of the fourteenth-century church of San Pietro Martire, one of the oldest in Italy.We are in Monza, one of the epicentres of the Brianza district and cradle of the manufacturing excellence of Italian Design. The perfectly squared piazza, open only on one side, suggests a living space based on objects, rhythms, rituality and the everyday, all discovered at first sight when entering the Appartamento. Clients are welcomed by a juxtaposition of diffused lights and shadows, showcasing the furnishings of Boffi, De Padova and MA/U studio. The showroom comprises a large living room, a kitchen and a sleeping area with bathroom. 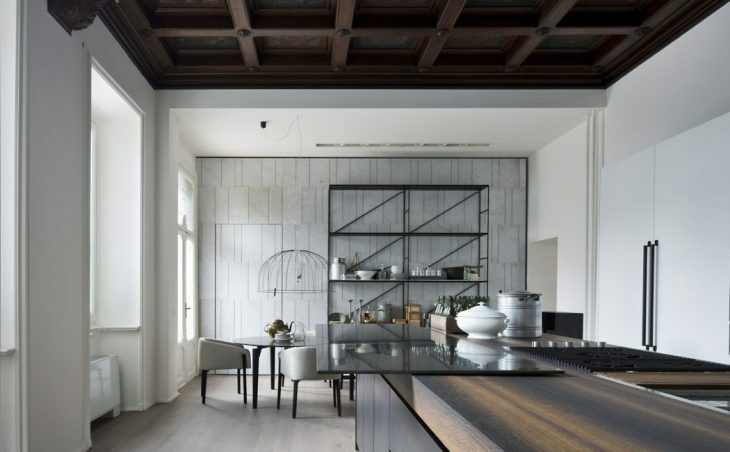 Each room is entirely furnished with a selection of tailor-made and collection pieces for the kitchen, bathroom and complements from the three brands.What strikes most is not only the theatricality of the showroom, but also the composition of corners and spaces of its layout with rooms characterised by high panelled ceilings and structured by different windows. Everything showcases a comfortable elegance of a house with different rooms partly overlooking the cloister of the old church convent and partly its internal garden. 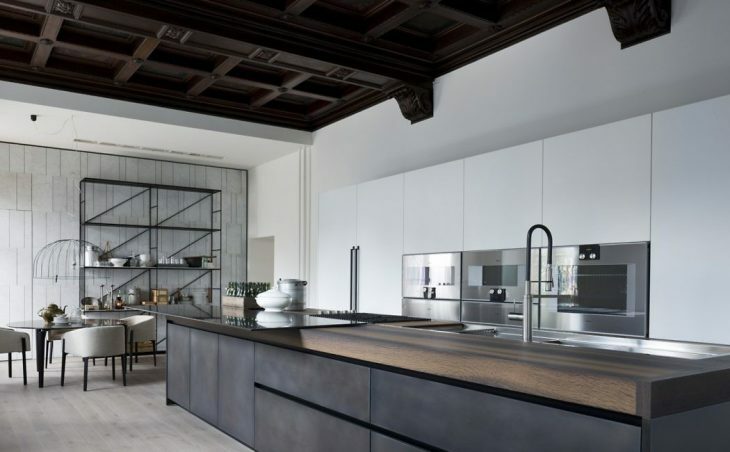 Designed by the Style & Design Department of the Boffi Group and under the coordination of architect Chiara Tombari, the refurbishment has given a modern touch to history, where prestigious finishes are harmonically in dialogue with wood floors. The Boffi-De Padova-MA/U Studio Appartamento, a living space where one can naturally find and start projecting one’s domesticity.